Did you know 1 in every 13 trick-or-treaters that will come to your door this Halloween will have a food allergy. As in candy is a no go. 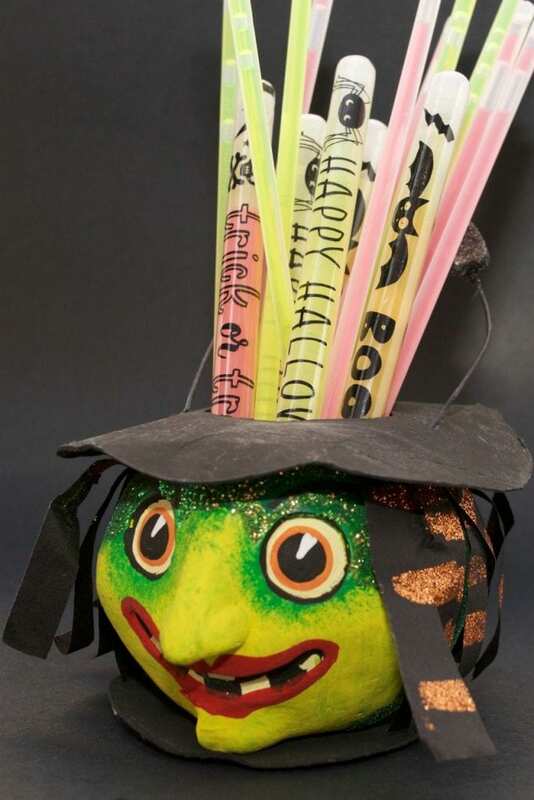 Keep the candy, but consider also stocking up on some Fun Candy Free Halloween Ideas for Trick-or-Treaters to hand out. 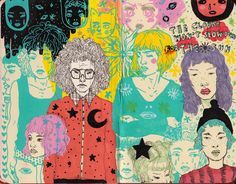 Some of these you can make yourself. 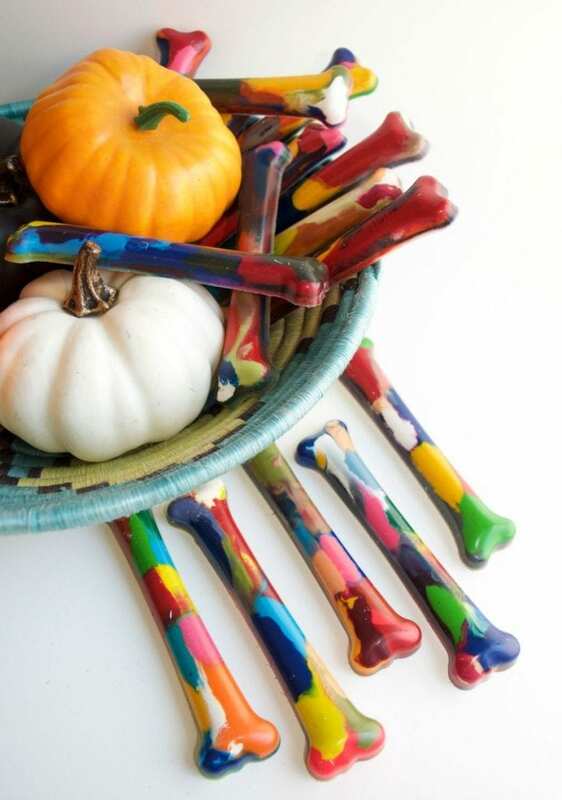 Put out a teal pumpkin and whip up a batch of slime or crayon bones with the kids. 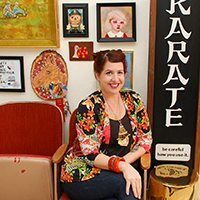 Check out this episode of DIY This With Jennifer Perkins as a primer. 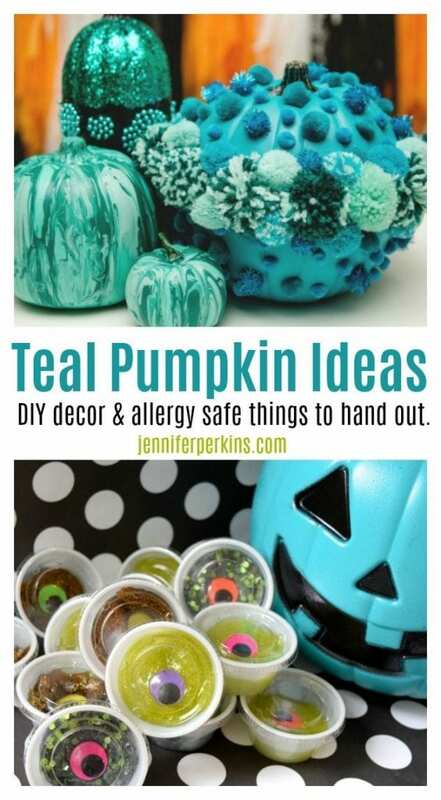 In the video I talk all about what a teal pumpkin is and why. You can also get inspired with my posts on HGTV, DIY Network and right here. Once you have your teal pumpkin in place lot’s of people wonder about what to hand out and will it cost them more than a bag of candy. The answer is no. 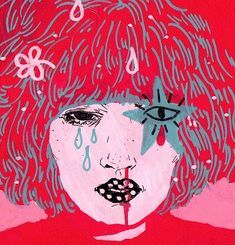 Goodies like stickers, temporary tattoos and spider rings cost about the same if not less. Buy ready made toys to hand out or get crafty and make your own. Halloween Slime – My kids LOVE making slime. 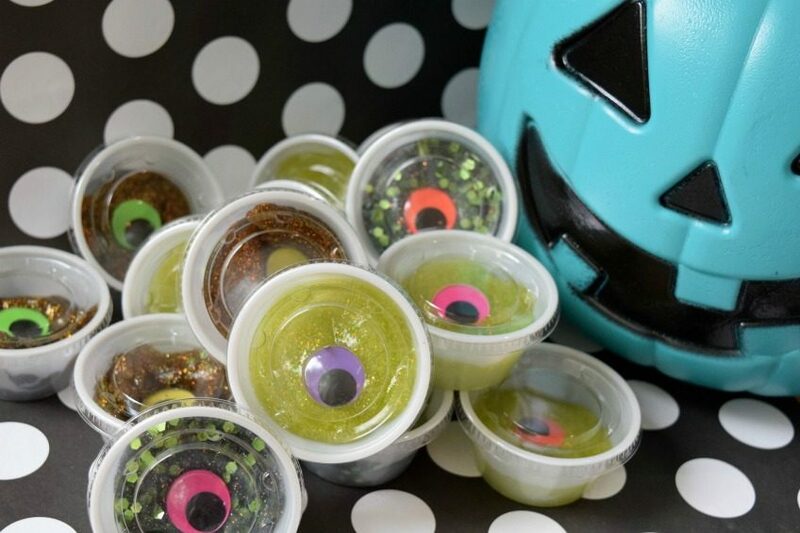 Why not spread the sticky joy around with single serving ramekin sized slimes to hand out to trick-or-treaters. Creepy eyeball optional, but highly suggested. 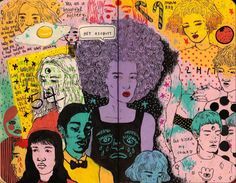 Pencils and Erasers – School aged kids can always use pencils and erasers. You can easily find these in bulk at the store or if you plan ahead you can get custom pencils made. 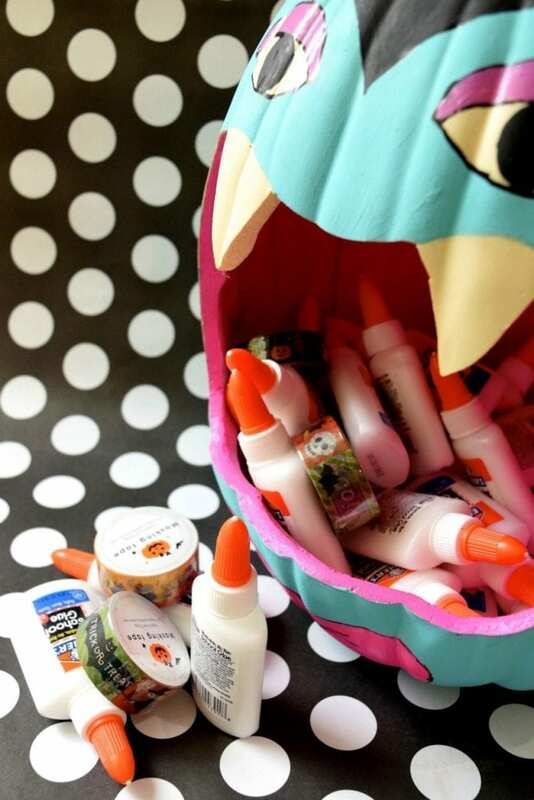 Check out this Halloween goodie bag buffet I made for more ideas. 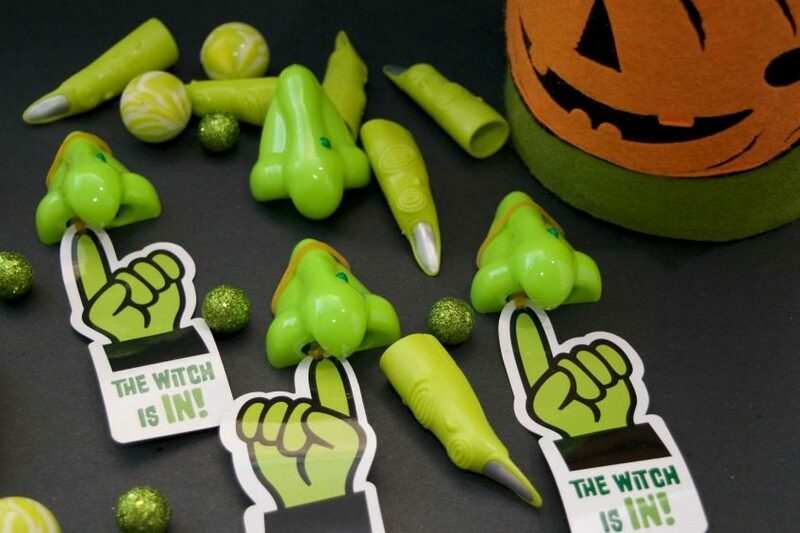 The Witch Is In – Those pencils might also need sharpeners who wouldn’t want to stick a pencil up a witch’s nose to sharpen it. Another fun hand out are plastic witch fingers. Hosting a Halloween party? How about some Witch Bowling? Crayon Bones – Collecting broken crayons in the kids art box? 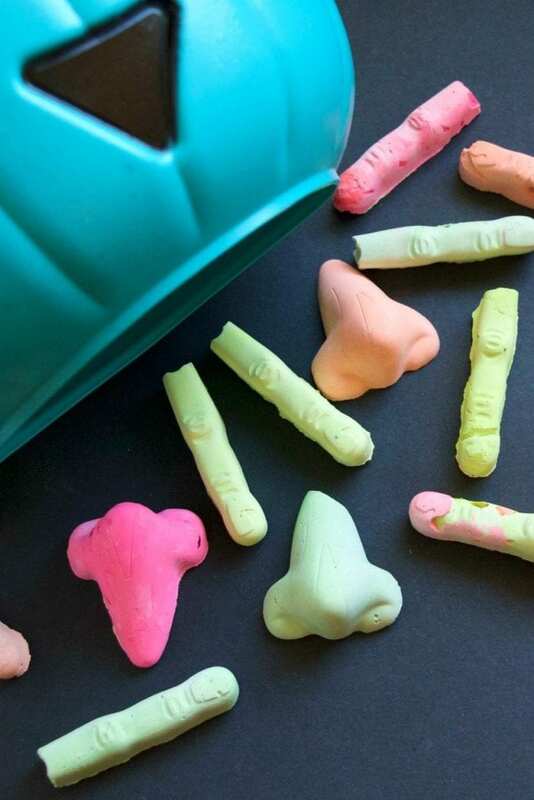 Melt them into something fun to hand out. Baking tins come all types of fun designs. Check out these Halloween crayons. Let It Glow – All kids love glow sticks and on a dark night like Halloween the parents will thank you for handing these out. 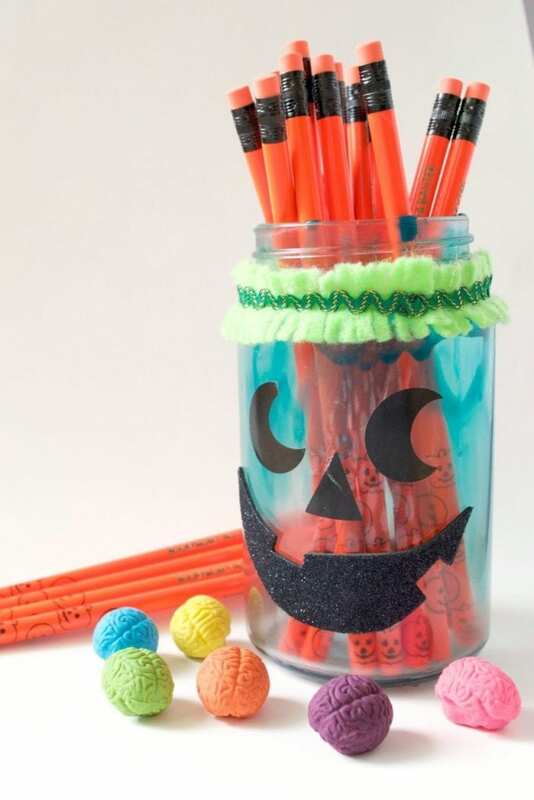 Sticky and Spooky – Give crafts not candy is one of my favorite mottos. Elmer’s was kind enough to send over all these mini glue bottles and I can’t wait to hand them out. 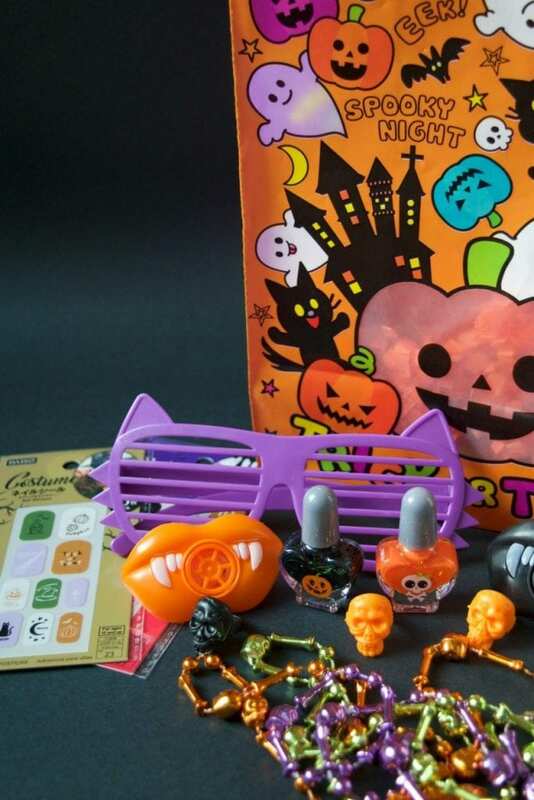 Tween Scream – slightly older kids might enjoy some Halloween bling. Rings, polish and even necklaces can be found in bulk to please the trick-or-tweens in your neighborhood. Glow in the Dark Chalk – Making chalk is surprisingly easy and while you are at it, why not make that chalk glow in the dark. Experiment with different molds – like eggs for Easter. Halloween is almost here! What will you be handing out or bringing to the class party? Halloween themed books to read? Spooky Soap? 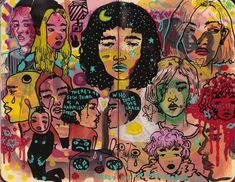 DIY Coloring Books? Remember 1 in 13 kids averages out to 2 children per classroom that might be excluded by candy. Parents, dentists and kids with food allergies will thank you for stocking up on some fun alternatives like these. Posted October 30, 2017 & filed under Crafts, Halloween, Holidays, Kids Crafts. These are great ideas for parties with kids in attendance who simply cannot have sugar!